Traditionally used to treat heart disease and improve crculation. 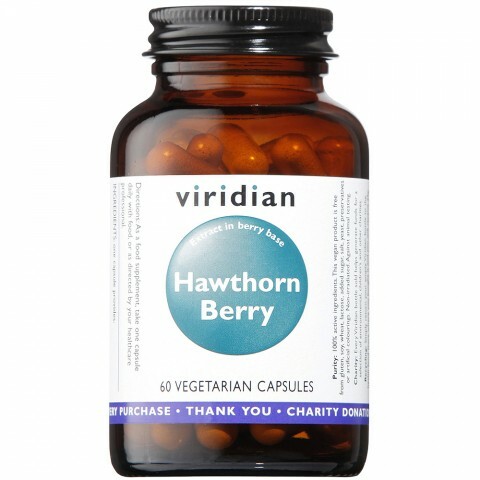 Hawthorn berry extract in a whole hawthorn berry base. It has been traditionally used to ease heart ailments for many centuries and to improve circulation. Hawthorn berry powder (Crataegus laevigata) 200mg,¾Hawthorn berry extract (4:1) (Crataegus oxyacantha) 150mg,¾In a base of alfalfa, spirulina and bilberry.